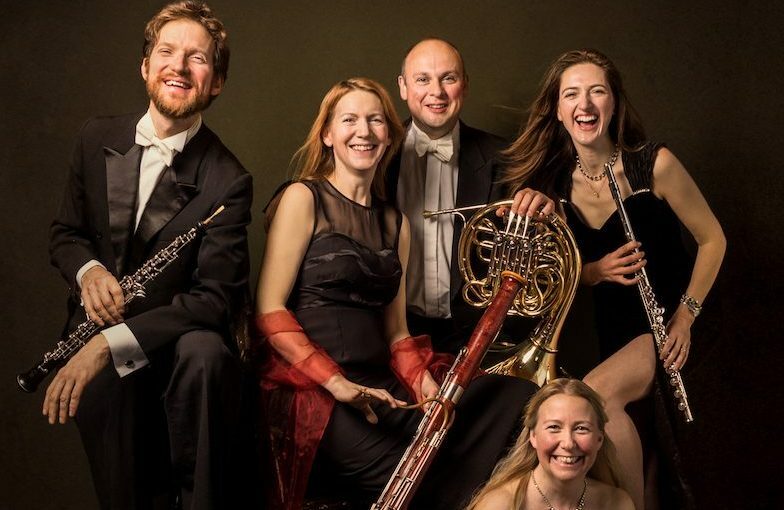 “The Galliard Ensemble gave a distinguished recital of music for wind quintet. Its programme centred on the 20th century, when the combination of flute, oboe, clarinet, bassoon and horn enjoyed a renaissance, but an adaptation of Mozart’s B flat major Adagio K411 (originally for clarinets and basset-horns) caught the music’s solemn serenity. “For wind ensembles, it’s not enough to be fine exponents of their instruments: the paucity of repertoire means players must also be inventive with programming. At their concert in St Peter’s church in Goodwick, the Galliard Ensemble struck a clever balance between old and new, original and arranged. Giulio Briccialdi was a contemporary of Rossini and his quintet – betraying his prowess as a flautist and his opera house connections – was a lively curtain-raiser that proved the credentials of these Radio 3 New Generation artists. Their combination of virtuosic technique and expression was further apparent in the arrangement of Ravel’s Le Tombeau de Couperin and in Barber’s Summer Music. John McCabe’s Postcards is an elaboration of eight miniatures first written for two clarinets. Though developed into more substantial missives, the pieces remain succinct and elegantly constructed, capturing the essence of each instrument as well as the dynamic of a quintet. Paul Patterson’s Westerly Winds was another recasting, this time scaled down from an orchestral suite based on West Country folk tunes. It was brilliantly executed, but almost too densly layered. “Pure pleasure. There are 32 shortish movements here, mostly light but not slight, brief but not insubstantial. It is immediately obvious that the Galliard Ensemble are enjoymg themelves greatly, and by this I don’t mean that they play with rumbustious joviality (except where required, of course). It’s more a question of knowing that the very tricky staccato ostinato figures in the third of Ligeti’s bagatelles make a wonderful contrast to the elegantly lyrical melody if they’re played with absolute but unassertive precision, or that a hint of raucousness makes an irresistible difference to the last of Farkas’s Old Hungarian Dances. It means that Ibert and Hindemith, though both writing genial music for the same combination of instruments, should sound quite different, and in Hindmith’s slow movement it means realising that his tempo direction, ‘peaceful and simple’, demands that the beautiful long line should unfold smoothly, without fancy phrasing or unnecessary rubato. This, in short is wind quintet playing of great distinction. With this repertory Galliard might seem to he ploughing an easier furrow than on their first disc for Deux-Elles, of chamber music by Birtwistle (11/01), but in fact it takes just as much skill, though of a different kind, to work out how much archetypal Ligeti there is in the Bagatelles alongside so much obvious Stravinsky and Bartok. And of a third kind to underline the sly humour of Norman Hallam’s dance parodies: his ‘Quickstep’ is obviously danced in evening dress to a wind-up gramophone; his ‘Waltz’ is of the New Orleans, not the Viennese variety. There is more than parody to Eurico Carrapatosos adroit homages (to Bart6k, Stravinsky, Messiaen, Webern and Tailleferre) and more than humour to Berio’s charming sequence of animal stories. From this admirably recorded disc you also get a very good idea of how enjoyable the Galliard’s public concerts must be. Strongly recommended.